At the Aspen Network of Development Entrepreneurs Conference last month, a good deal of focus was placed on developing the ecosystem to help social entrepreneurs connect with investors, business infrastructure and one another. One ANDE session took a close look at early stage incubation services, and the role they play in helping small and growing businesses, helping them to shape their business models along the way. Afterwards, I had a chance to meet with three leaders in this arena who are focused on social business development in India and Southeast Asia. While they may pursue different courses, each has the same destination. They offered their perspectives on what it will take to propel investment capital and increase dealflow among early-stage companies in their region. First, I chatted with Abbie Jung, co-founder of Synergy Social Ventures based in Hong Kong and San Francisco. Founded in 2011, the non-profit Synergy identifies high-potential social ventures in Cambodia, China, Hong Kong, Indonesia, Laos, Nepal, Philippines, Thailand and Vietnam and connects them to philanthrophic capital. Later on in the conference I spoke with Paul Basil, the founder and CEO of Villgro Innovations Foundation, a social enterprise incubator in Chennai, India. We’ve previously written about Villgro on NextBillion. In our interivew, Basil explains why he sees a multi-dimensional approach to financing as necessary to grow the sector. 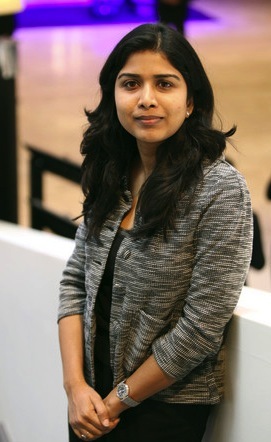 Finally, I chatted Manju George, co-founder of Intellecap, based in Hyderabad. Intellecap is perhaps best known as the sponsor of the the Sankalp Forum. But as a social investing bank and investment firm, Intellecap is involved in many aspects of business development. (Because of a camera problem, we just have the audio to share).